This is a case where the cooking skillet wins and the customer who doesn’t care to listen or understand the rules rather just wants her product for less. Happy customers spending their money are what most businesses aim to have, but what happens when you can’t make a customer happy and they start a public argument with you? This happened the other day at the grocery store where a couple was chatting to the cashier about a cooking skillet that scanned wrong and they wanted to have the scanning code of practice (SCOP) applied. Yes, the store honoured the scanning code of practice so you would think it would be a cut and dry situation like most of who have had SCOP applied before. Not this time. Apparently the cooking skillet was put on the wrong rack by another customer who clearly noticed that the other frying pans were on sale. 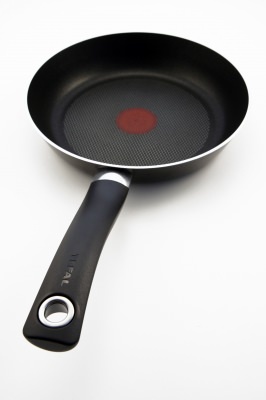 Instead of putting the more expensive frying pan back where it belonged they just swapped it out for the frying pan that was on sale. That meant the more expensive cooking skillet was on the same rack as the cooking skillet that was on sale. This couple was arguing that they wanted SCOP applied because the wrong price came up and it wasn’t their problem that the product wasn’t in the right place. We kept our mouths shut mainly because we didn’t catch the full conversation from the start but put two and two together just by listening even though we tried not to. I don’t even know if this cooking skillet was one of the best pans to fry in but for them all they cared about was the price. The couple was very upset with the cashier who refused applying SCOP as the product was simply placed on another rack by a customer who clearly had no intention of returning the higher priced product to its proper place. We see this all the time and I think I even blogged about it before where we see products completely unrelated to a section of the grocery store sitting on a shelf because some customer just dumped it off. This was nothing unusual to us and I was pretty sure that SCOP would not be applied to this situation but then the manager was called over. It was one of those popcorn moments, we could feel it because the tension in the air was pretty thick. These two customers were not going to leave the grocery store without their cooking skillet at the extremely low price that they were hoping to get. When the cashier explained to the customer service manager what the situation was about she went on to say the same thing. It was clear the product was sitting on the wrong shelf because it was moved there. The customers would not let go of the SCOP practices being applied even though the manager was making it pretty clear that it didn’t apply to this situation. The customers started to get very vocal and loud and we were waiting for security to kick their butts out but that never happened. I’ve never witnessed customers starting a public argument out loud enough for others to turn their heads hoping to catch a front seat glimpse. In the end the manager sat the cooking skillet down then turned to the cashier and said, give it to them at that price. I was shocked she gave in but she just didn’t know what more to say in order to get them to understand. I imagine she would rather have happy customers than have them walk away upset never to return and to try to diffuse the situation best she could. Dealing with difficult people is not easy at times and if you’ve ever been in a similar situation (not with a cooking skillet, lol) you know what I mean. I’m not sure what I would have done in that situation but I learned that when a customer wants something and no matter if they are right or wrong if you start a public argument about it the likelihood of you getting what you want is pretty good. What would you have done in this situation as the manager? What should the customer have done in this situation? Weekly Overview: We didn’t need too much this week as we are away for a couple of days so we picked up a few bits before we left so we had something when we returned. I also picked up some tomato juice a few days back to make soup so I’m just adding it to this weeks shop. We have one more week of grocery shopping to do with a bit of money also left in our stockpile budget. Hopefully we can stretch our grocery dollars to take us to the end of the month. I have no coupons that I picked up this week. Check back next week to see what coupon find might turn up. I’m doing this on the iPad as the laptop is having issues. I was all over is for shopping as I managed to get hold of a Shoppers ad and a No Frills ad. I was over for the week itself but there is still room for the month…. I wish I had the room for some rhubarb here!!! I don’t know how long it takes before the lemon trees will produce but he started these two years ago from seed. Time will tell there. So i was over budget this week. I would have been under had i not included the pet food and all the goodies from the pet store. I did score some great coupon deals in which i needed to replenish my stock pile (razors, shaving cream, tooth paste and the mr clean which i use in my steam mop for our floors) We were also completely out of almost all canned food (veggies and soup which are easy go to sides and meals) I also needed some wipes….and diapers so all add up of course. All in all i would say not too bad. Hopefully can make it under budget as i now need to save up for my doggies teeth to be fixed ASAP. Yes me and hubby were thinking about revamping our budget. We have a pet category of which we generally put money away into but it may make sense to keep track of all pet bills seperate from our food. We do have a local corn truck/stop on my way to work so once the summer hits i go there all the time! Fresh corn cannot be beat! I agree with others comments. It is impossible to keep the shelves perfectly organized all the time and therefore, SCOP does not apply in this case. As a customer, I always try to double check the prices of products- I look at tags and double check UPC’s. Unfortunately, by the store giving in, the message has been re-enforced for the customers involved. Make a big enough fuss and you will get what you want. Essentially they have rewarded negative behavior and now they will do it again. I don’t rewarding negative behaviour is every a winning situation. I guess it also depends on the situation whether it was an employer/employee situation but in this case when customers start a big fuss out loud I can see why she did it. I agree with you. I hate rewarding people for carrying on like pork chops, so I probably would have let them leave empty handed. It’s hard to stick to your guns and I hope more management and cashiers do just that rather than give in to people treating them nasty. So for the month, I have only a small amount left to spend. And, we are eating fruits and veggies like they are going out of style. So, time will tell how the rest is going. So happy that I found the gift card last week with some money left on it and it quickly went to good use. I did cave and get 1 2L bottle of pop. But, I am satisfied for now and will look into a treat like that in the future. We did have a U.S. shop again this week. We will be going over more regularly to get gas since prices are so much cheaper. Our U.S. budget is hopefully going to float more gas until the end of June, parking the car is just not an option for a month. While we are not adding more to that account now, and it is depleting, it is our lifeline. With the trip over, we got a few staples, some luxuries and some clothing for my kiddo. However, each time across, the luxuries will disappear and this shop is dramatically less than last one, with no duty this time. It’s easier if I don’t take hubby across, but more complicating as I need to take my son – we have to do a letter each time I take him from hubby giving me permission with that date, etc. Hubby is always the one wanting to put random stuff in the cart where I check a price and often put it back. He’s never been good at need vs. want. Walmart was 79.84 this time with 7.30 used in coupons. We got two sets of summer pyjamas ($2 and $5 respectively) for my son and a rain coat for $6 (which his old one ripped apart last week, this one is much better quality), granted they were on clearance, but definitely my gain. We got some cat food, bar soap (2 pkg of 6), yogurt x 4, taco sauce, double pack of deodorant, 3 types of dressing, drink boxes x 2 for on the go this summer (this is a treat and not often purchased, however disposable will be great on his upcoming class trip since I am attending as a supervisor and get to carry most of the stuff), Oscar Mayer 1 lb cold meat pkg x 2, hot dogs (pack of 10 but packaged in groups of 5, this way I’m hoping hubby will eat less hot dog and more salad if we are only cooking 5 at a time), monkey bread x 2, sliced pepperoni x 2, bacon bits, Keebler cookies, 2 large pkg Stride gum (3 packs in each pkg), 1 loaf whole bread. Price chopper was 29.78 after taking off 6 cents for having our own grocery bags. No coupons, but we did reap store specials with our card. Texas toast croutons 10/$10 of our favourite brand, milk 2%, Milk 0%, whole wheat bread 2 pack, 4 boxes of crackers $1.77 each (which I got $2 back from my mom for her box) and one container of greek yogurt. This trip addressed some stock up items, frivolous stuff, personal care stuff and clothing my son needed and I really can’t afford in Canada since I never see clearance prices that good. And, ironically, the clothing we purchase there more often fits our son better. I’m finding this budget this month too tight. I know I had to cut it back, even though I didn’t want to. And, I am trying to make it work. Without the U.S. cash, I’m afraid it would not be pretty in our house. I need hubby to be more on board with losing the frivolous stuff and he just doesn’t want to, but scowls at me each time I give him the Food Bank alternative (which I personally want to avoid too for now). I know he’s a work in progress, but I am hoping to go back to school in the fall, so it won’t get any easier on the grocery budget, only harder. I will just keep plugging away 1 week at a time and try harder not to get discouraged. I really do wish hubby would get on board with the finances in any way. He can’t be trusted shopping, and that’s our biggest problem. The groceries, purchases and everything is done by me, or we would have been spent into a hole many years ago. Years ago he couldn’t even have a debit or credit card in his wallet, it was that bad. We’ve made improvements (he has stopped spending), but he wants nothing to do with the money. So, the stress falls on my shoulders and I do what I can. I can always hope that someday he will get on board completely with our finances – the glassy eyes take over and the listening stops the moment I start showing him the budget. It doesn’t matter the approach, he just doesn’t want to, so he won’t. I take him to the grocery store, but he’s more impatient than my 8-year-old. When we found out that hubby had to eat differently (not surprised – my habits are ok, but his were awful), I took him to the store specifically to target his meals, but he willy nilly grabbed things off of the shelf. I had to steer him to cheaper versions of things he wanted. ie. Manns peas in pod were on sale that week and he was determined to get the store brand which was half the size and cost more. He just doesn’t want to know. I didn’t want him to not have the things he wanted, but I needed to stay on budget. That goes back to our first shop of this month and it was almost half of the budget for the entire month, I have gone on my own since and the numbers dropped dramatically and we have the fresh stuff in the house. I’t is sad, I fear if there is ever a time I couldn’t do things, my mom would have to step in and make sure things went well. That goes from groceries to bill paying, to the cat. I have proven to him that the coupons I use (I only coupon on products we will use or an FPC to try something new). I tracked it for a year one time, itemized everything and the value was over $2,000. I couldn’t imagine at that time coming up with another $2,000 for the groceries we use. While this makes him sound like a bad guy, he’s not. Growing up he was not taught the difference between needs and wants, money management, practically anything practical. So, I have had to do all of that. We have made huge progress in his knowledge, but numbers just escape him. So, he tunes out. They should not have given it to her using SCOP. According to SCOP, the shelf sticker details MUST match the product, therefore, if the shelf sticker description showed a different UPC, description, etc. SCOP does not apply. By giving in to the customer, one does not create a good customer. One creates a bad customer. One that will do it again..and again…and again (the customer themselves, for all one knows, could have moved the more expensive frypan over to the incorrect peg with just the hope of getting the product free, or cheaper than what it really is selling for). And shows how adult the customer is…NOT! Throwing a hissy fit like a 2-year-old throwing a temper tantrum shows the customer’s maturity level. When I worked at Target (seasonally), our store’s rule was that if there were more than one misplaced item in that area (so if there were three of the expensive pans in the sales area), then we would give that person the discount. Same with labels. If a label for an item was in the sales area, then we would give them the discount. We did not give discounts if it was only one item randomly sitting in the aisle. It’s impossible to keep aisles organized at all times, especially at peak seasons or times. Customers should understand that. Interesting how some stores policies are different from others. Thanks for sharing that mate. As a customer, I tend to double check things at the aisle before making the purchase, especially if it is a super great deal. If there was only one there of that particular product among a row of another product, then I would take the sale price. If I didn’t double check at the time, I would have gone back with the manager for an explanation in the department when the question arose at the cash. If it comes up wrong and was clearly marked with the correct sku, I would have stood my ground. I have been unlucky enough to have had the store incorrectly mark something in one aisle, have it correct in another area and of course the staff only checked the one area. I have proven myself before in such a case. But I am always willing to prove something if I believe it to be true. As a manager, I would have offered the customers the correct product on sale and have someone bring one to them or take them back to the location. I have also seen managers offer something done similarly like that at the sale price, but definitely not SCOP. Sounds like this couple knew that it was too good to be true and were counting on making a scene to get what they wanted. Not great shoppers in my books, those are the types of individuals that ruin it for everyone. That’s what she should have done. There was a product on sale and that is what should have been offered. I think we as customers have to be realistic when it comes to products and SCOP. How do we know they didn’t place the product in that spot? It’s silly to think they even thought it would work.. BUT it DID! ** Earned 30 Optimum Points on this shop ** << My first ever Optimum Points! 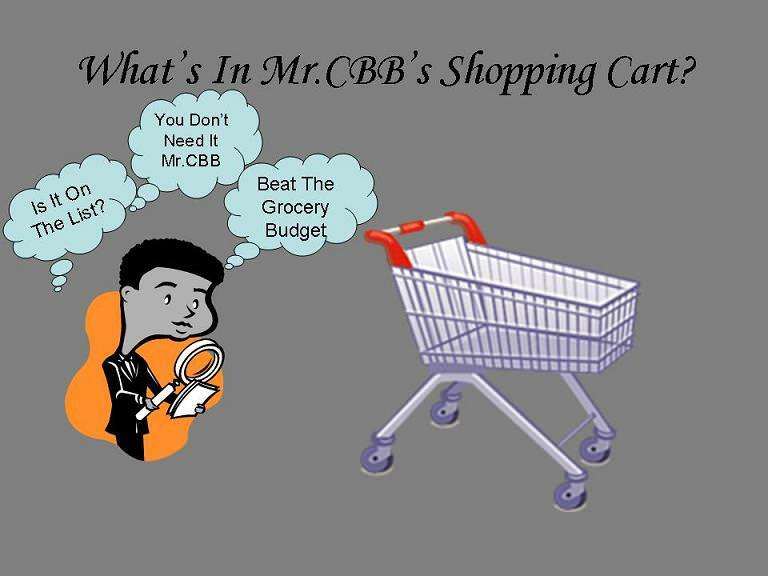 So, if you look at the $1,358.31 calculation that we have spent in 2014 and subtract the $250.00 we have actually saved in our “reserves” and the $149.42 we have recorded as spent but is actually set aside for future USA grocery shopping… we have actually spent $958.89!! That is just over the $950.00 we budgeted for January through May. I know it’s hard not to resist those basics deals when they do come on. I know that as long as we can make it up in our budget we are ok though. The problem and we both know is when someone is over month over month. That just means they need a bigger budget or they need to really ask themselves if the need what they are buying. P.s I wouldn’t have battled the traffic to the USA either. I chop my watermelon into cubes and have a custard cup worth at a time. It’s murder on the blood sugar so loaded with sugar and so little fiber! Generally I can make it last for a week if I keep draining off the liquid that pools in the bottom of my container. The message to myself should work because I am going to the US on May 28th and can pick up what we need on the other side of the border. Cheating you say??? Ha ha ha!